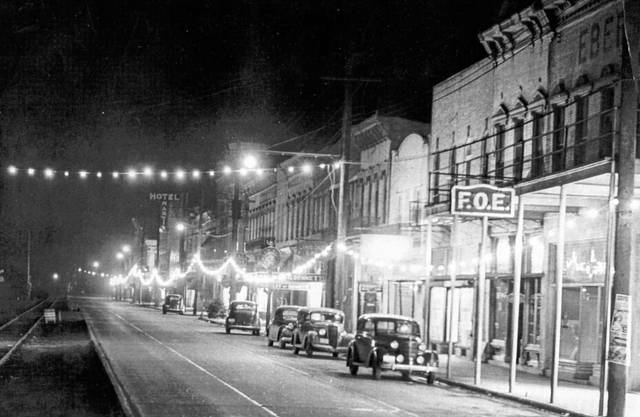 This photo from the collection of Bob Graham shows Main Street in Pomeroy decorated for Christmas in 1938. Lights hang along the right side of the photo as cars are parked in front of the downtown businesses, while the street car tracks can be seen on the left side of the photo. Among the buildings pictured is the Hotel Martin.